For those that are old enough, casinos can be a great way to strike it rich. They can also be a great way to quickly lose one's paycheck in minutes. Thankfully, there are free ways to play all the casino and card games you want without having to pay money. There's sites where you can play casino games for free, but there's also the awesomeness that is video games, where all you spend is a given game's currency like zenny or gil. The games we'll be referring mostly to are the types of casino and card games like poker, blackjack, roulette, keno, and even bingo; but we also will be delving into nontraditional games too. (Unless you know of a place in real life where you can ride Chocobos for money.) SuperPhillip Central is taking this opportunity to look back at some of the best casino and card games in video game history. We will just be scratching the surface here, so if we left out one of your favorites, give us a holler in the comments section below. Originally a game played solely by soldiers, at the time of the events of Final Fantasy VIII, Triple Triad was a worldwide phenomenon. Each game has players choosing five cards from their deck, each depicting a different monster or character within the Final Fantasy VIII universe. The cards have a number or letter on each direction: up, down, left, and right. The actual board is a 3x3 grid where players take turns placing down cards. For instance, if Player A puts down a card that has a number 3 on its left side and Player B puts down a card to the left of Player A's card that has a number 5 on its right side, Player A's card will become the color of Player B and he/she will get both cards. The player with the most cards that have their color is deemed the winner and is allowed to take one card from the other player permanently. Alternate rules have it where whatever cards are a given players color are the ones that each player takes away from the game. Also, Quezacotl's Card Mod ability can turn cards into items outside of the Triple Triad game. For some items, weapons, and armor this is the only way to obtain them, so while Triple Triad is totally optional, it is worth playing-- not just because of earning rare items, but just because it's a load of fun. In the world of Super Mario Bros. 2 (or as it's known in Japan as Super Mario USA), entering into door created by a potion allows Mario, Luigi, Princess Toadstool, and Toad into a world where mushrooms can grant extra health and picked items give coins. The latter is important for the slot machine mini-game that players participate in at the conclusion of each level. Depending on how many coins have been collected, that's how many times players can try their luck at the slots. 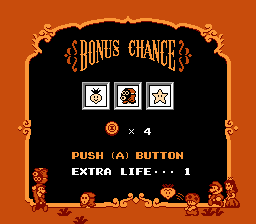 The slots grant players extra lives, depending on what symbols are shown. Players who have a hard time in later levels will without a doubt enjoy having an extra arsenal of lives to work with. C'mon Bunny! 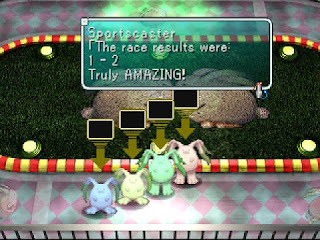 The bunny races in Star Ocean: The Second Story's Fun City has players perusing the participants of the upcoming race via three stats: Speed, Stamina, and Personality, and determining which two bunnies will come in first and second place respectively. Like any good casino game, selecting the right bunnies comes down to luck and a little strategy. Unfortunately, for those with bad luck, the bunny races are the only way to acquire some of the rarer items within the game, such as the Bunny Shoes, which allow the wearer increased movement speed in battle. In Final Fantasy XIII-2, Serendipity is an enormous casino city that is set in the sky, offering players a multitude of ways to strike it rich or lose it all. The Hall of Gaming contains slot machines (a regular for casinos, don't you know and two card games in the form of Serendipity Poker and Chronobind. These two card games are part of the downloadable content for Final Fantasy XIII-2. 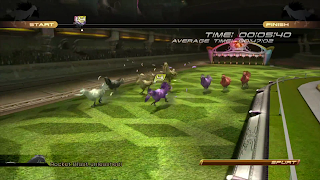 However, by far the most entertaining game within the city of Serendipity is the Chocobo Race, a la Final Fantasy VII, offering multiple tracks and allowing full player control of their destiny. 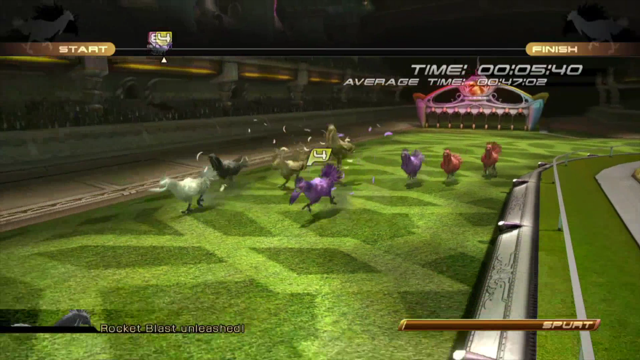 Each Chocobo that is able to be selected by the player has four stats: Speed, Stamina, Race Points, and Skills, which are different for each Chocobo. There is strategy in determining which stats the player values the most to help choose a Chocobo that has a likeliness to win the race . Those were five of our picks for casino and card games in video games. We most likely left out your favorites, so hit us up with your thoughts in the comments section!